On November 12, WhatsApp and Google will delete Android users’ old WhatsApp chat backups stored in Google Drive. Chat history and backups in the phone memory will not be affected — those are safe. WhatsApp users on iOS don’t need to worry; their backups are stored in iCloud. WhatsApp for Android will back up your chats to Google Drive free of charge, but it may hurt older backups. Here we answer key questions on WhatsApp backups security and privacy. 1. What does Google store? WhatsApp for Android can back up its data to Google Drive on a regular basis. These copies may include just text, or text, photos, and videos, depending on the setup. The feature is nothing new; backup has been working like this for years. Take a look in Menu -> Settings -> Chats -> Backup to check if you have backup to Google Drive configured. 2. What changes on November 12? Any file takes up space in Google Drive, reducing your remaining storage quota. 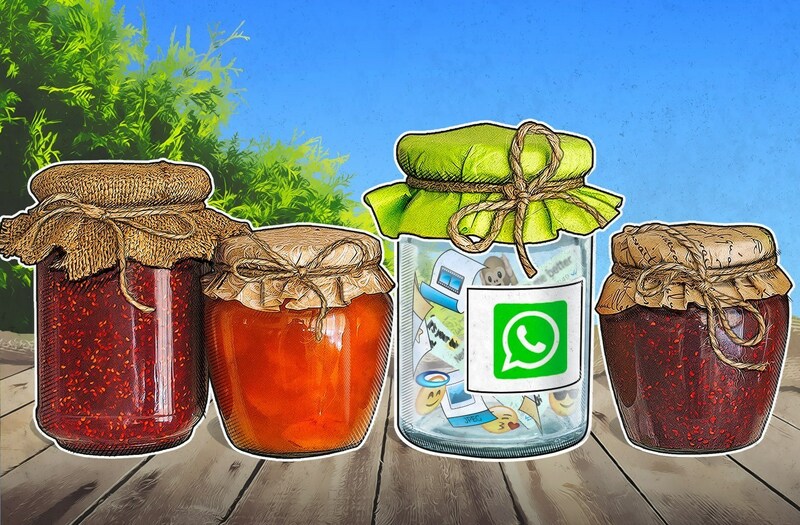 However, Facebook, which owns WhatsApp, and Google have agreed not to count WhatsApp backups toward the quota. So, you will be able to store more data in your Google Drive. 3. And what is getting removed? 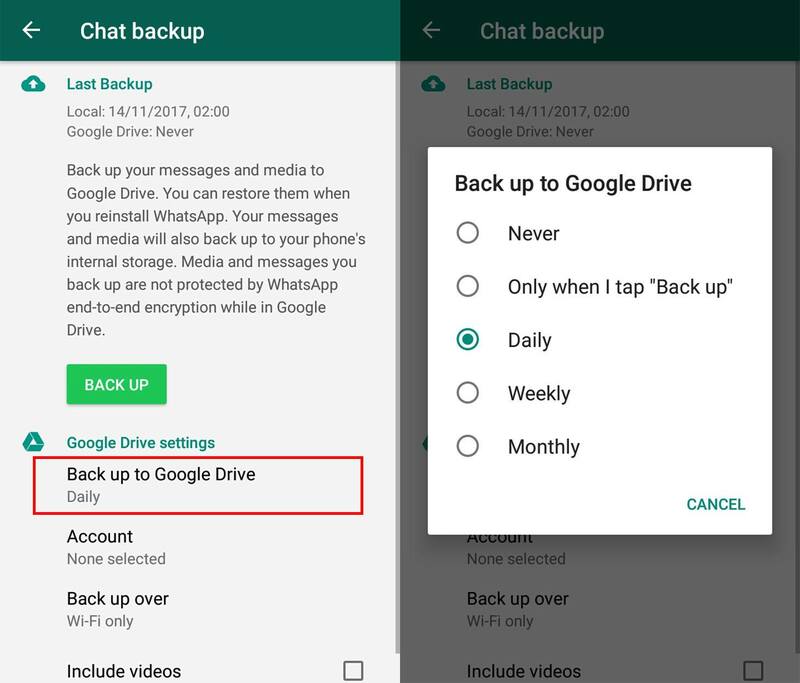 If you haven’t backed up to Google Drive for a long time, and automatic backup is off in your WhatsApp, your old (two years and older) copies will be removed automatically. To stay safe, you need to back up your WhatsApp data manually at least once before November 12. 4. What happens if I lose my WhatsApp chat history backup? If you install WhatsApp on a new phone, you will still be able to chat with your friends, and you will retain membership in your chats, but you will not be able to see your chat history. Some risk has always been there and will remain. Chats stored in WhatsApp are encrypted, and only chat members can read them, whereas backups on Google servers lack that protection: The data stored there is openly accessible. Therefore, that kind of backup is a potential threat to your privacy. 6. I want to have a backup of my chats, but not in Google! What should I do? WhatsApp can back up to a phone’s memory. That backup can be used for transferring your chats to a new phone or restoring after WhatsApp is reinstalled. You will lose it, though, if you lose your phone. So, you would have to copy data manually from your memory card (sdcardWhatsApp) to a computer or encrypted cloud service. 7. Isn’t there an easier way? Google Play offers dozens of apps for backing up WhatsApp data. Unfortunately, none of them are made by well-known app developers, and many require root access. These apps may not be safe to install; you could easily let in a nasty Trojan disguised as a backup app. At the very least, we recommend you download highly rated, frequently downloaded apps only. We also advise you to take care of your smartphone's malware protection.